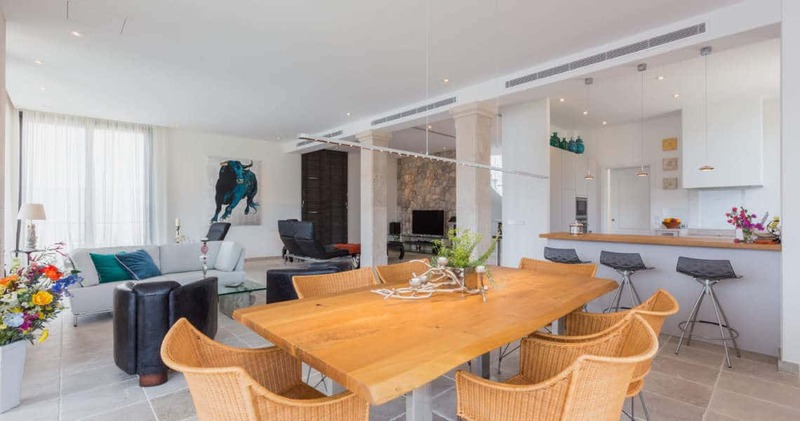 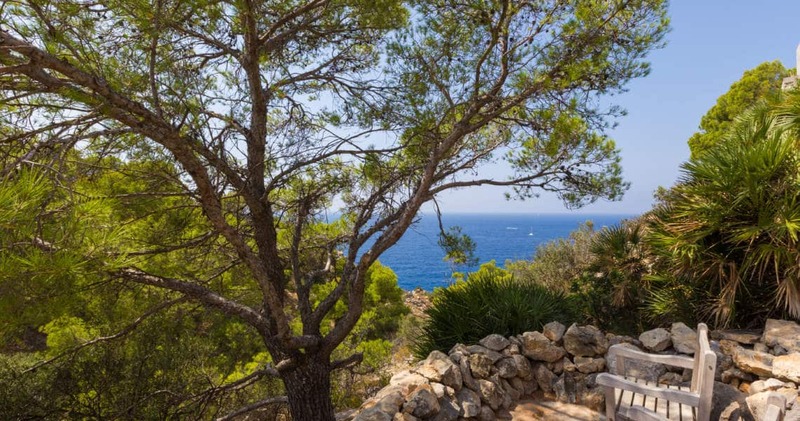 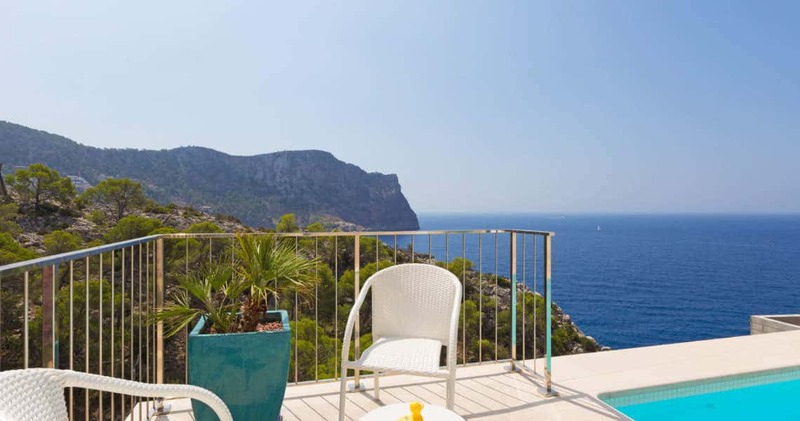 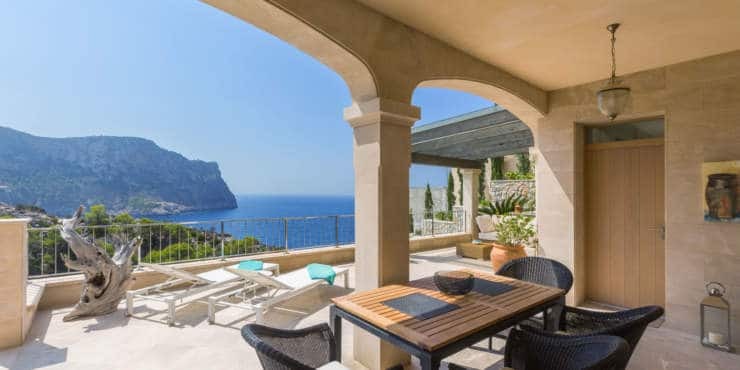 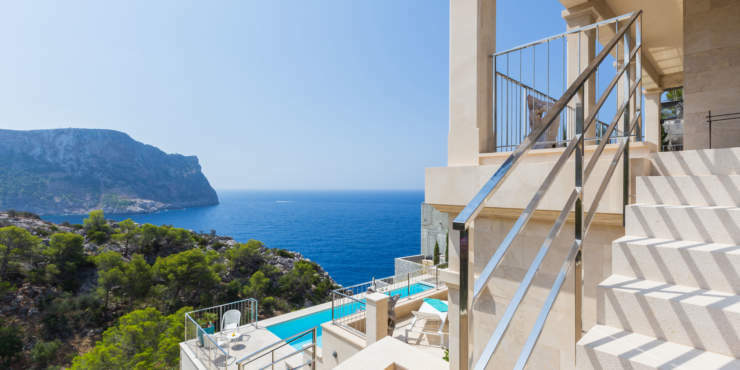 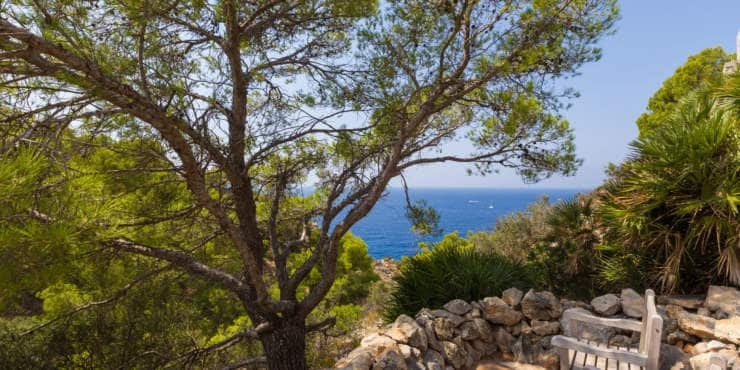 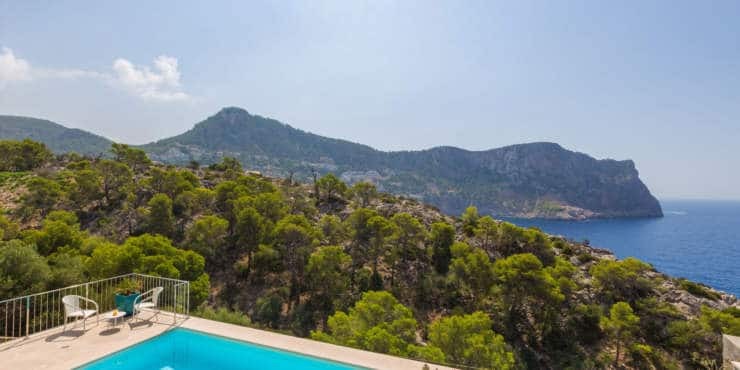 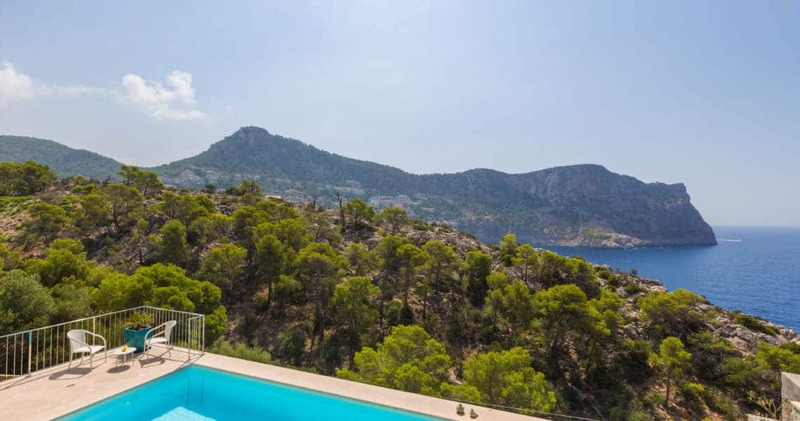 This south facing villa is situated in a preferred residential area above Cala Marmacen and leaves nothing to be desired in terms of quality and furnishings. 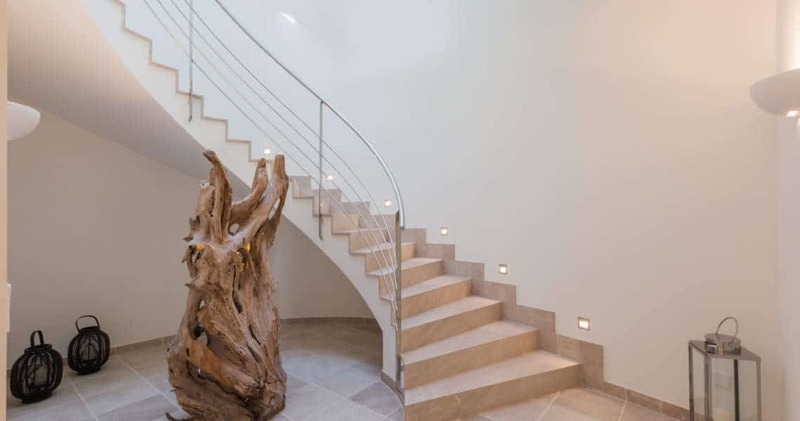 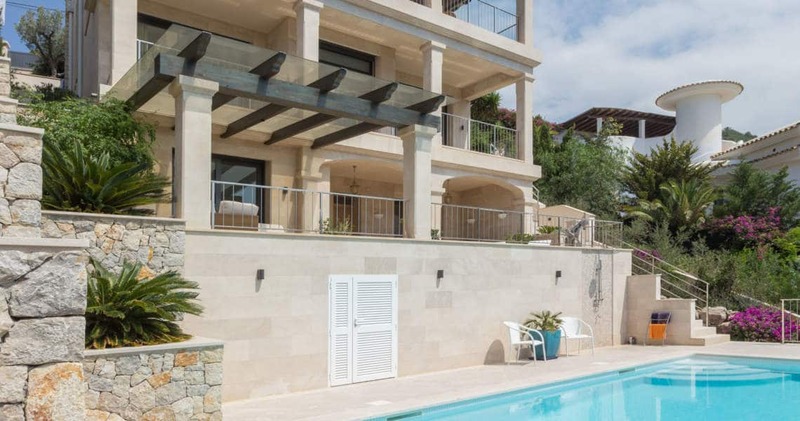 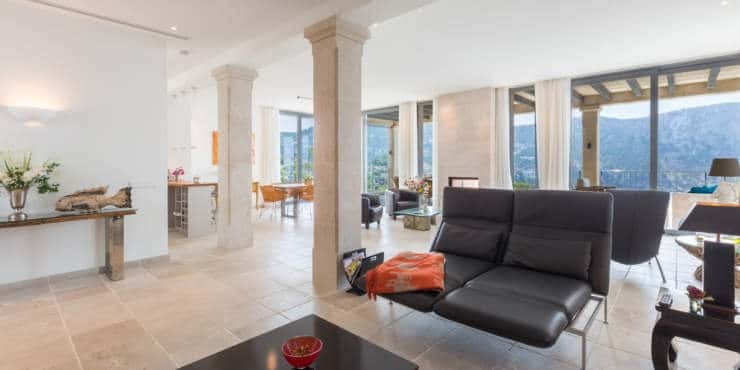 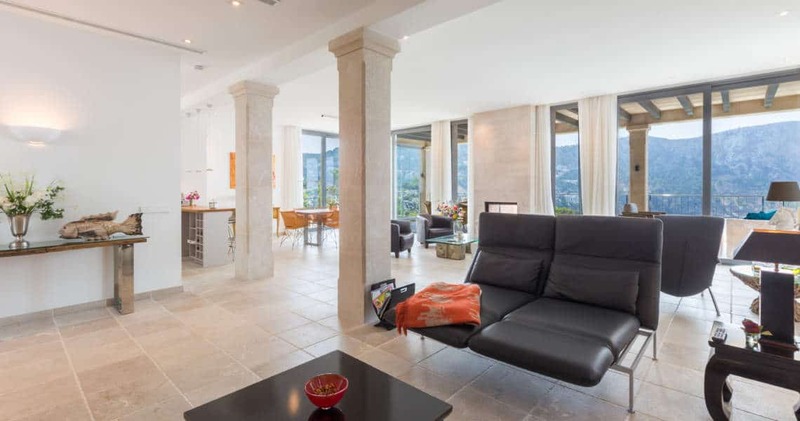 The property has been constructed using top quality materials and with great attention to detail and offers a modern Mediterranean interior design. 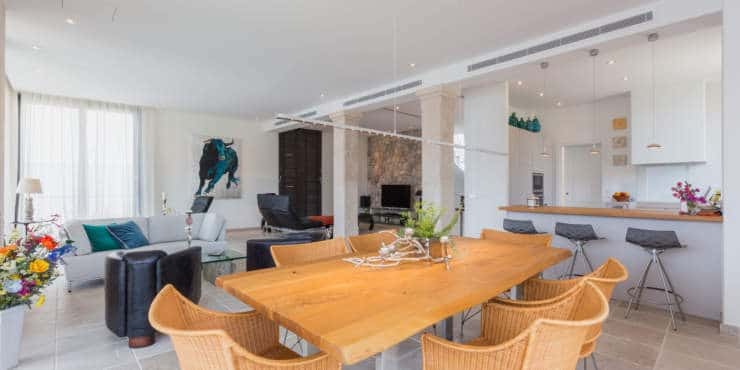 The entrance level, which is located on the top floor, features a carport for two vehicles on the roof terrace. 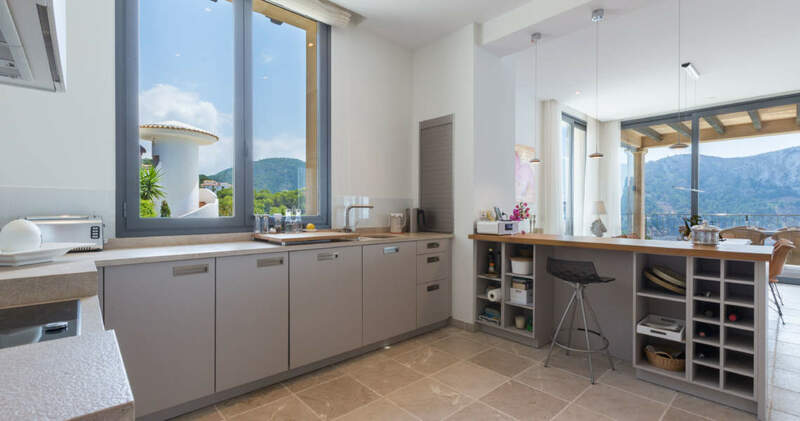 The floor below (2nd floor) accommodates the main living area which comprises a spacious and light flooded living/dining room with open plan kitchen as well as a guest toilet. 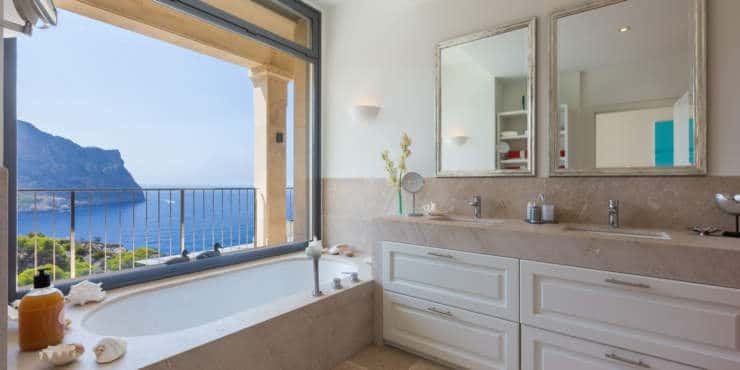 The large master en suite bedroom with dressing room and a further two en suite bedrooms are all situated on the first floor. 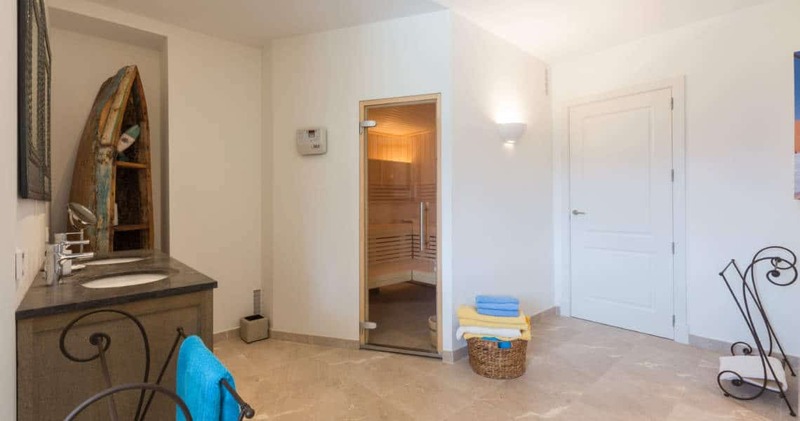 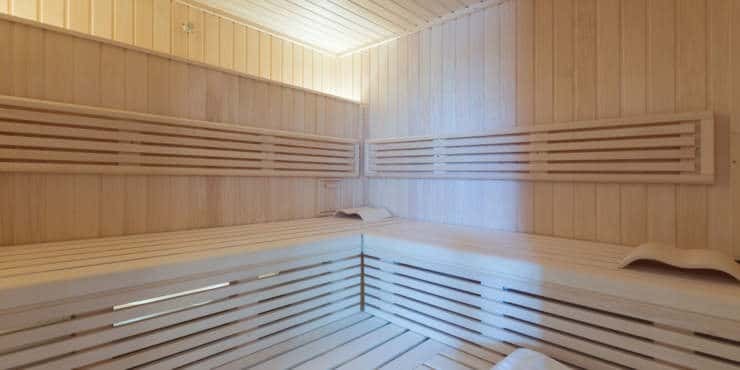 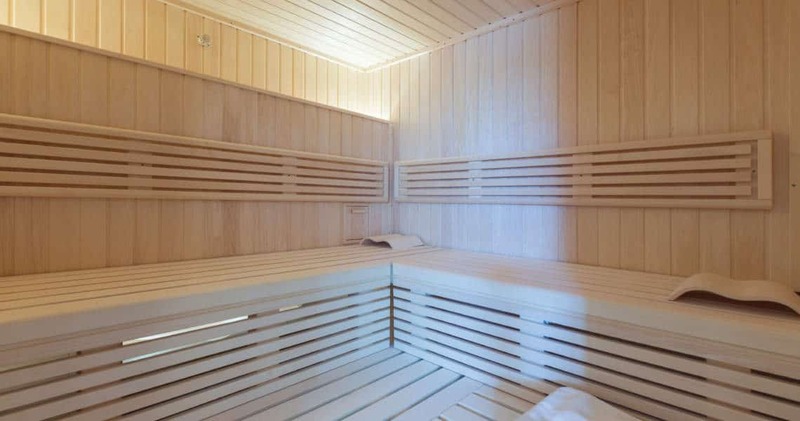 At ground level is a lovely pool area which features an outdoor kitchen, as well as a sauna/spa area, plus a separate two-bedroom guest apartment and a bathroom. Inviting open and covered terraces enjoy breathtaking sea views which complement the elegant and modern ambience of this property.